Along Colorado's Front Range from Pueblo to Fort Collins, many yards have been invaded by a large and ugly plant predator. 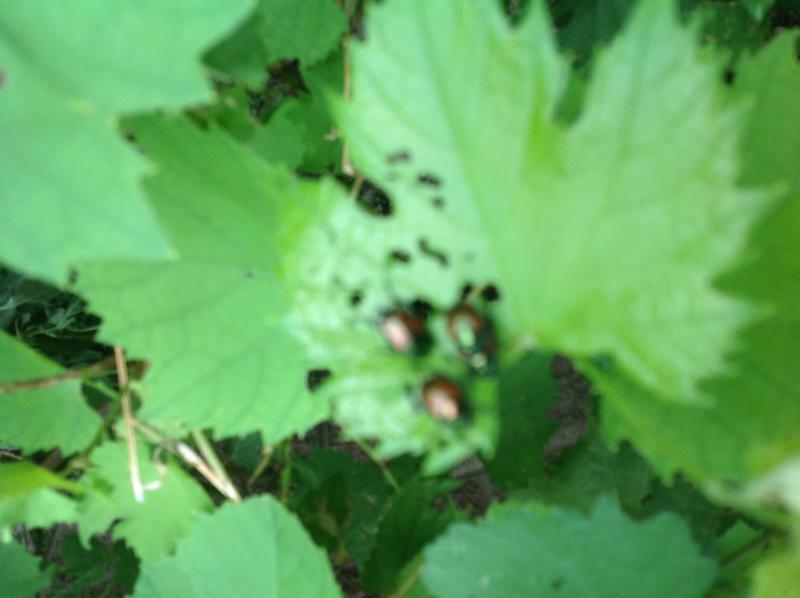 Japanese Beetle, like many other far-away pests, has found an unwelcome place in many Colorado landscapes. Tell-tale signs of this pest are the pests themselves. They are rather large and active making them highly visible in the garden. Once they have chomped their way through the meaty tissue of a leaf, only a filigree skeleton of the leaf remains. If you're a gardener, it's plant desiccation that will break your heart to behold. Treatment and preventionSystemic products are available that can be sprayed on plants not in bloom. Because roses are almost always in bloom, they should not be sprayed. Once beetles that have ingested treated plants fall dead on a patio or sidewalk, some have reported their odor attracts more live beetles. To avoid attracting other beetles, dead insects should swept or vacuumed and disposed of. Some nursery experts have discouraged using traps to capture the beetles. The trap may only trap 60-70% of those attracted, leaving the remaining beetles to attack surrounding vegetation. The Colorado Department of Ag has a quarantine for nurseries out of state so that they must be certified to ship plants into Colorado. Likewise, an internal quarantine prohibits uncertified nurseries from shipping plant material out of the Front Range. These measures are meant to limit the spread of the insect and particularly, to keep it from reaching fruit producing areas around Grand Junction.